How to improve your conversion rates with bug tracking! Businesses today have myriad possibilities to improve their conversion rates. It starts with an appealing web designs and includes various inbound marketing activities as well as excellent customer care. 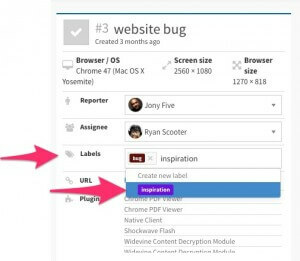 In this article, we explain why you should integrate bug tracking into your workflow in order to increase leads and conversions. So let’s get started! What does bug tracking have to do with conversion rates? If you have a digital product, it is crucial to have a system for dealing with bug reports. In this article, I differentiate between active bug tracking on the one hand and passive bug tracking on the other. What do I mean by that? 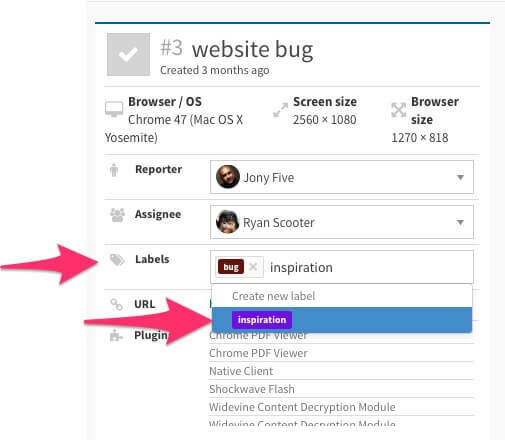 Active bug tracking characterizes your active search and documentation of bugs. Before releasing a new page or a new product, you are probably testing your website for browser-specific errors, dead links, and incorrect graphics. Once you have released your website, your users and website visitors should also be able to report bugs themselves. That is what I call passive bug tracking. You are not actively searching for errors, but rather receiving reports and solving bugs. And this is the crucial point: businesses who react fast and efficiently to bug reports and feedback of their customers, get a positive rep. If you think of bug tracking as being part of your customer care, it becomes clear that efficient bug tracking is linked to an increase of conversion rates. Active bug tracking, however, also improves your conversion rates significantly. It is just harder to measure. Why? Well, think about your first visit on a new website. If you encounter dead links or missing information, chances are you are not coming back. Users require simple processes and websites, which work for them. If you are actively and regularly tracking bugs, you are getting very close to fulfilling this need and at the same time you are improving customer satisfaction and loyalty. Users who can easily navigate on your site are more likely to come back than visitors who encounter dead links or missing graphics. So what kind of content should you check up on? Professional design and an appealing copy generate trust. Verify that your graphics are displayed correctly in different browsers and have multiple team members check your text content. It is crucial to check for non-working links. In particular, if your links are not working within your check-out process, you are losing valueable conversions. Therefore, check links which redirect customers to different pages within your site, but also check redirecting-links to external payment provider such as Stripe, Paymill or Paypal. Active bug tracking should be a key element during your entire development and design process. The better your active bug tracking is in this stage the less bug reports you have to solve after your launch. You should also have an established system in place for dealing with bug reports and feedback from your customers. Dealing with bug reports should not be discussed every time anew, but should follow a pre-defined process in order to react fast and efficiently to customer feedback. Your customers should be able to file a bug report within seconds. If your users have to look for a specific form and have to enter their information it simply won’t work. Give your customers a time-saving possibility for helping you to get better. Arrange an automatic email reply to inform your clients that you have received their feedback. Get back to your user as soon as possible either to inform them that a problem is now solved or to thank them for their feedback. The most important thing when it comes to bug tracking is staying organized. We at Usersnap definitely eat our own dog food, but we can recommend to check out the Usersnap dashboard, which is a great place to see and resolve all incoming feedback and bug reports. You can allocate bug reports to different team members and you can label feedback with our brand-new label manager (Let’s be honest for a second: who doesn’t love a label manager!). You can either use our suggested labels like “bug”, “improvement” or “idea” or just make up your own ones. Bug Tracking is a continuous effort. If you see bug tracking as a daily task you can both improve customer satisfaction and improve your conversion rates. It’s easy to do and a win-win for your customers and your conversions!